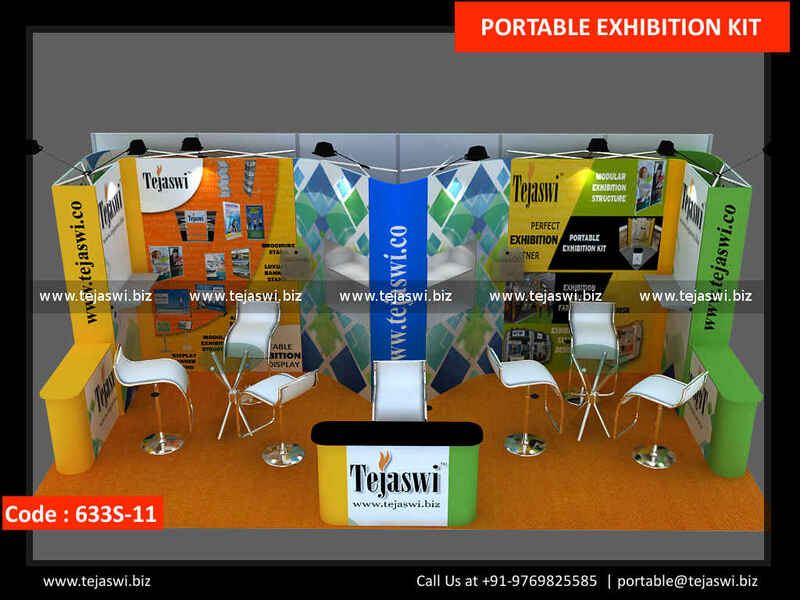 Exclusive Portable Exhibition Kit for Display in 6 Meter x 3 Meter Three Side Open Exhibition Stall Size. 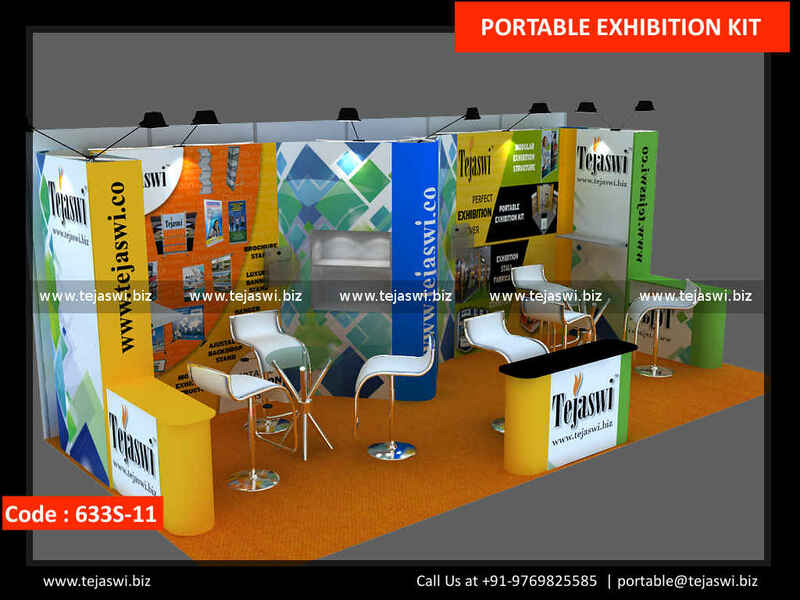 6 Meter x 3 Meter Portable Exhibition Kit 633S-11 is an Amazing Option for International Exhibition Stands of 3 Side Open 18 Square meter size. This Specialized Kit Offers Great Exposure for any Exhibition Stand Participation Worldwide and creates a Sophisticated Look for discussion within. 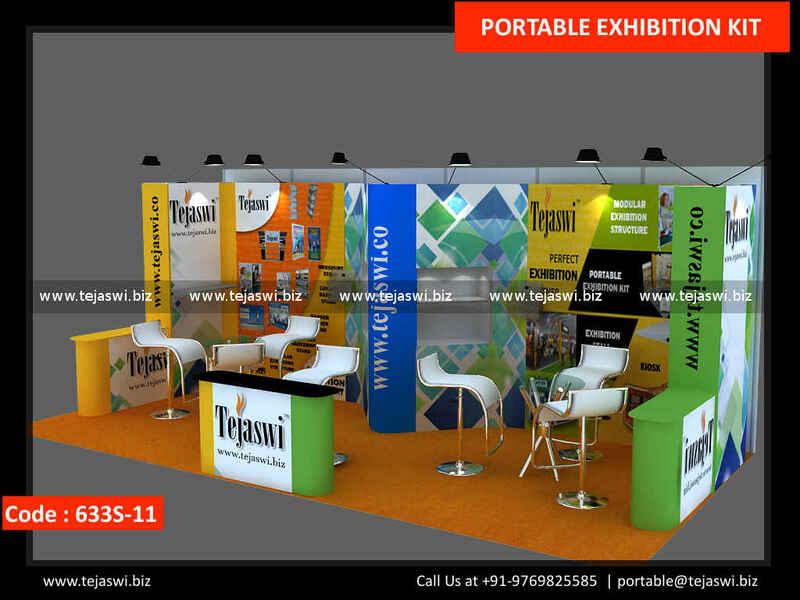 The Portable Exhibition Kit Solution is a Customized Solution for multiple Stand options, where it is for Exhibitions, Seminars, Conferences, Events, Brand Activation etc. The Options is a Custom option created for various Brands with Display Shelves as to promote their Brand and Product simultaneously. Widely Used Kit Worldwide because of their Reusability, Stability, Minimum Setup and Installation time frame, and Easy to carry Structures for various International Events.